"...My birds LOVE the Herb Salad™. I was a little nervous about it because of it being dried - I just thought that they would prefer fresh - but wow! They went through a dish of it yesterday and started right in on it this morning when I filled the dish again. I am very impressed. Thank you for offering such a product." "...The products I ordered from you are PERFECT!! I am not using them for finches, but instead a European Starling. He LOVES everything we got him! The mixed herbs are a huge hit with him. His feathers are growing back in already! This year for some reason he was having a difficult time molting his feathers....he is 9 years old. I think it had to do with the move from one home to the next and lack of light in the new home. I added a sunlight bulb but it just was not enough. He is doing absolutely fabulous now! Thank You, Thank You." What is Herb Salad™ ? 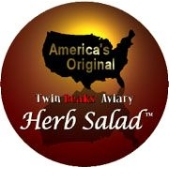 Twin Beaks® Aviary's Herb Salad™'s 100% Organic ingredients are the leaves, roots, bark and flowers of the plants that animals in the wild seek as a means to obtain required nutrients, minerals, vitamins and healing capabilities. It differs from food and water additives such as vitamins and medications in the manner that it allows your birds to choose what it is they require and in what amount, when and if their diet needs supplementing. Herb Salad™'s medicinal herbs address common health issues safely and without the dangers that improper medicating and over supplementing can produce. Why Do My Birds Need Herb Salad™tm? Herb Salad™ is not only for sick birds. 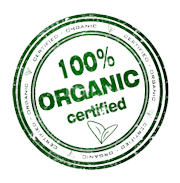 It's also beneficial in maintaining the health of the fit bird, in a safe and natural way. 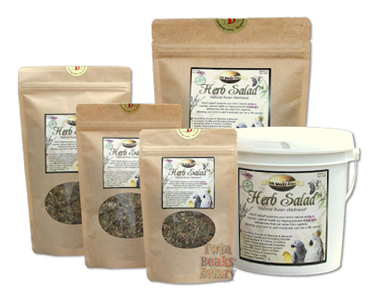 The advantages Herb Salad™ provides the bird receiving medicinal care is in the support it offers sick birds suffering the adverse side effects that medications can produce. It helps stimulate appetite, strengthens the immune system, and encourages good bacteria growth. Sometimes, Herb Salad™ can even furnish the solution re: the ill bird not responding to treatment when it is due to the fact that the drug(s) being administered is not addressing the problem or is only combating part of it. 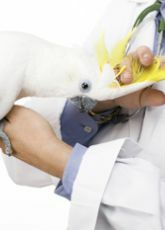 Enabling your bird's ability to self-medicate can be a life-saver. Will my bird like Herb Salad™tm? Birds instinctively know medicinal plants are a necessary part of their natural diet. Your bird's initial reaction to Herb Salad™ can vary, depending on the individual bird and the circumstances. Most birds immediately try Herb Salad™ and begin consuming it on a regular basis. In some cases, your bird may ignore it until a health matter, e.g. vitamin deficiency, stress, injury, illness, etc. compels him to seek relief. Time may be needed for your bird to *learn* to eat Herb Salad™, especially finicky eaters resistant to new foods. Don't remove it right away if it goes untouched. Keep it dry and clean, and leave it in his cage. It is the rare bird that doesn't eventually discover what makes him feel stronger, healthier and happy. When do my birds need Herb Salad™tm? Herb Salad™ should be available to your bird at all times. 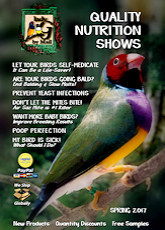 The benefit of regular access to the healthy bird is in permitting them the opportunity to address health issues, vitamin deficiencies and illness before the onset of the changed behavior or eating patterns that alert us to a health concern. 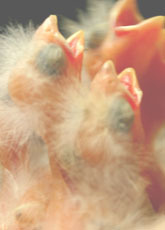 The merits of early prevention can be crucial for breeding hens and babies, as well as the smaller and more delicate species. 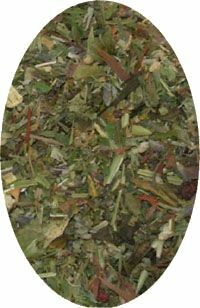 Stressed and recovering birds also profit from the constant availability to Herb Salad™ with its many function-specific herbs. How do I feed Herb Salad™tm to my birds? The fundamental principal behind Herb Salad™, and what it affords your bird over food and water additives, is in the way it gives your bird the power to choice. This is best accomplished by feeding Herb Salad™ in its own container. Desirable, are shallow dishes that allow easy access to the entire supply, rather than just surface contents. A shallower container will also help eliminate waste brought on by digging birds searching for individual herbs. To help acclimate the fussy eater, Herb Salad™ may be added to their seed. We do not recommend adding it to soft or cooked diets. Should I use Herb Salad™tm instead of medications and supplements?